Get leads directly on Hubspot. 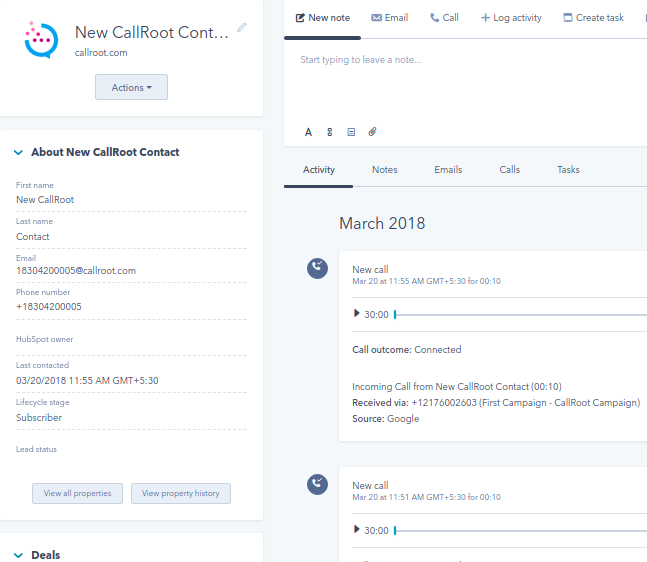 And, automatically log all call activities and recordings under your contacts . 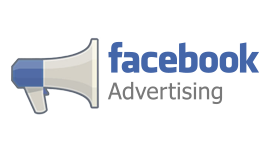 Track your leads directly from your Hubspot account. 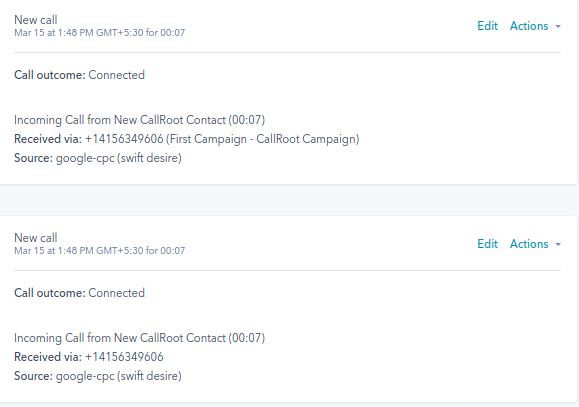 CallRoot creates activities on your Hubspot account for every call you receive. Listen to call recordings in Hubspot. 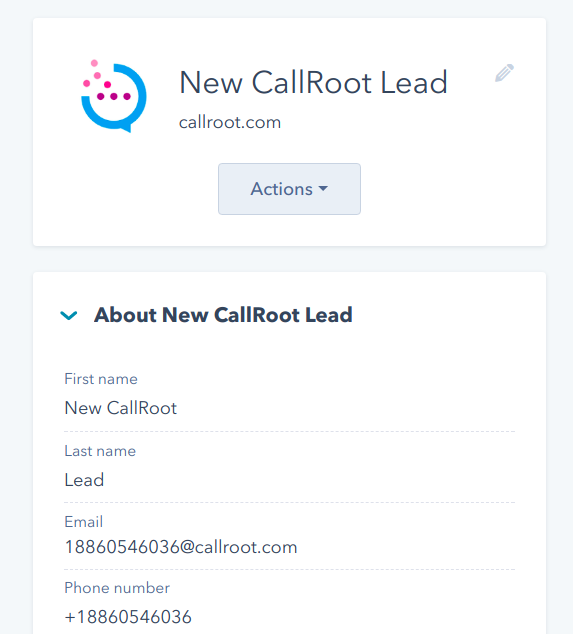 How to integrate Hubspot with your CallRoot account?